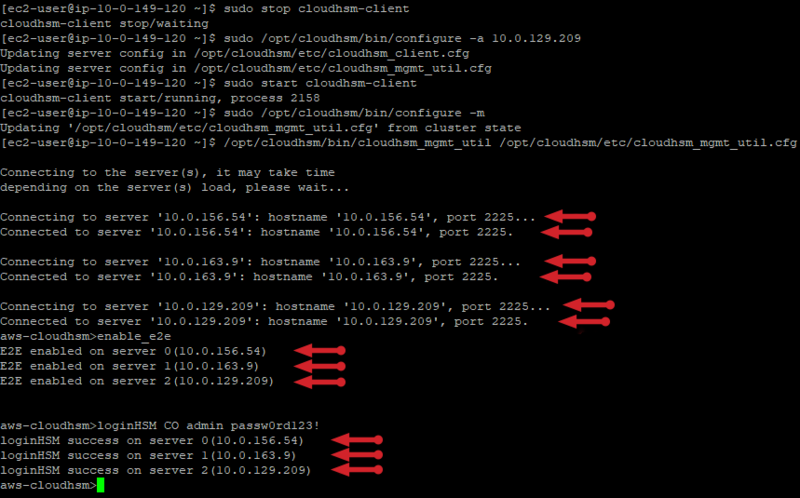 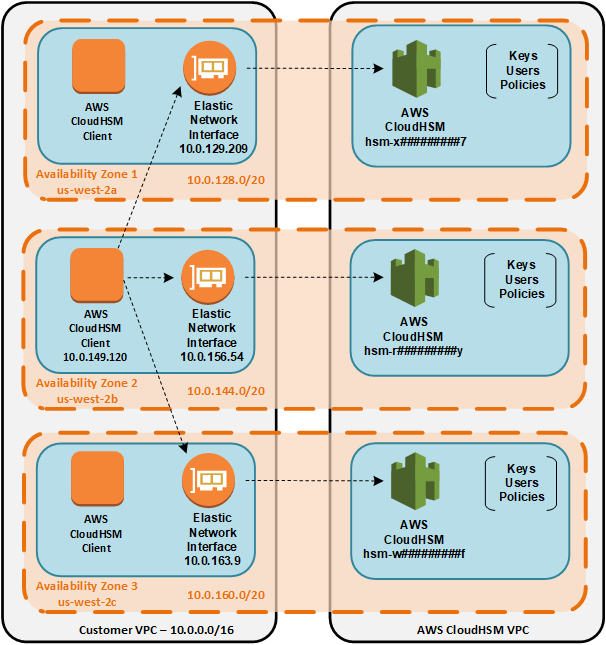 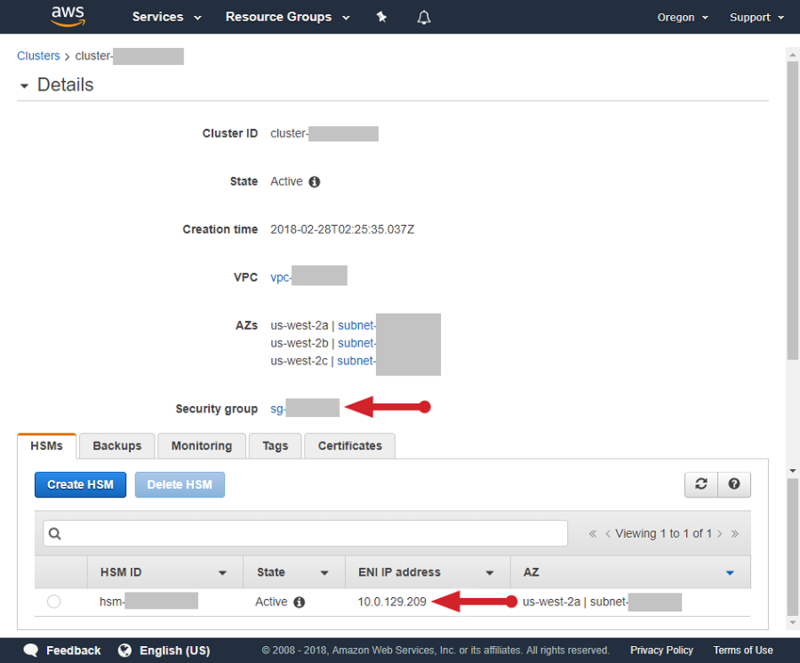 Note that cloudhsm_mgmt_util now sends commands to both of the HSMs in the cluster. 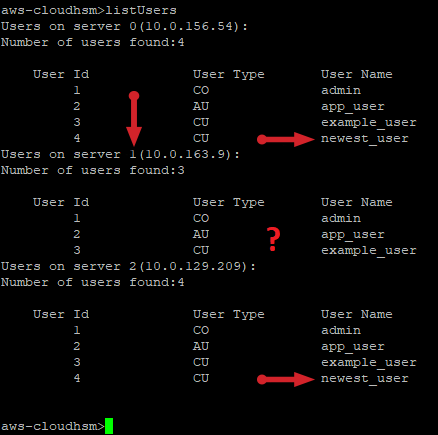 You can see the same thing when we list the users in the cluster. 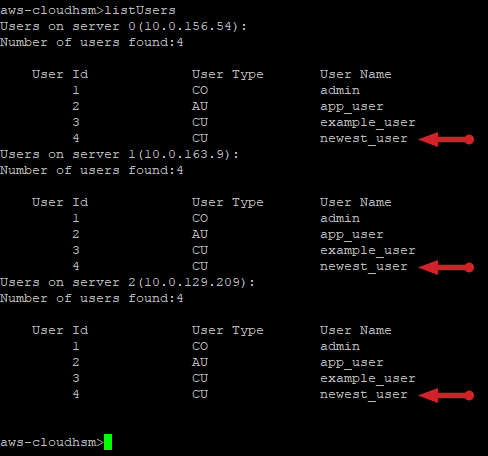 Going back to cloudhsm_mgmt_util, let’s add a user named newest_user to our cluster. 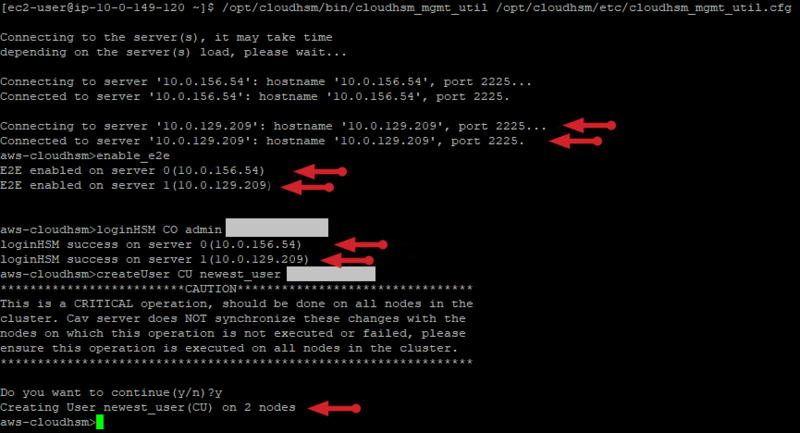 Note that we have not exited cloudhsm_mgmt_util and refreshed its configuration file. 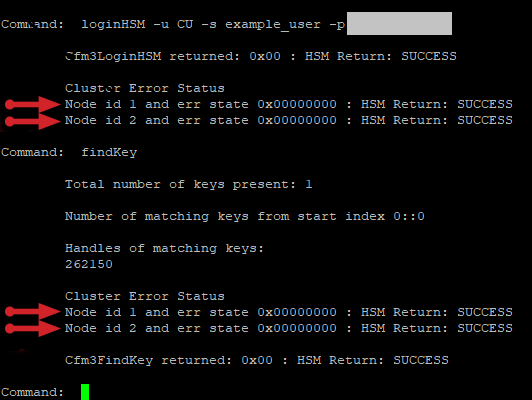 So it’s still connected only to the first two HSM instances. 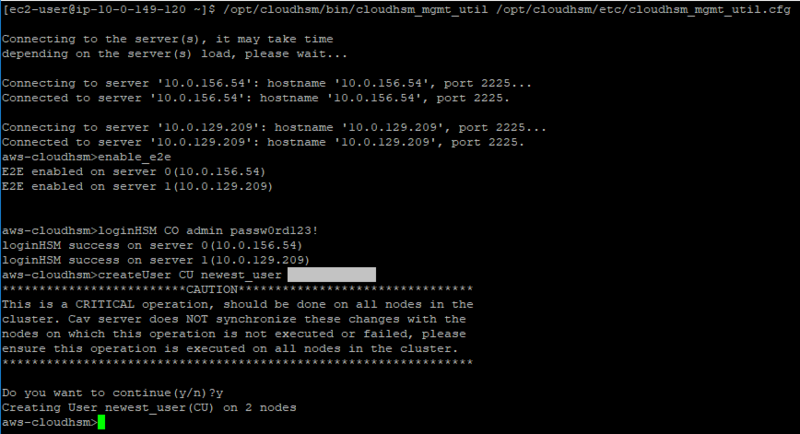 Let’s fix this by exiting cloudhsm_mgmt_util. 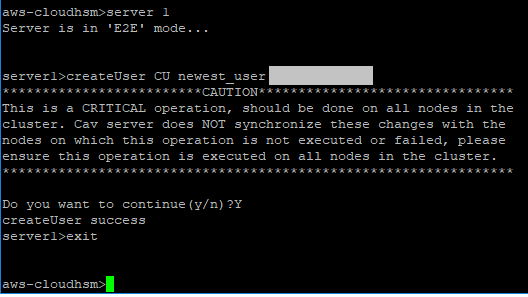 Refresh the configuration, and then run the management utility again. 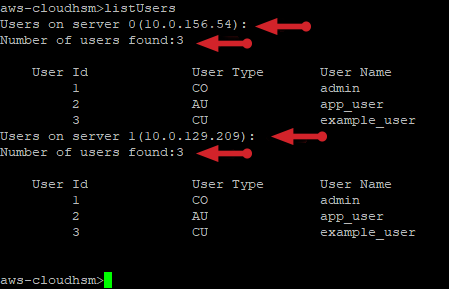 In the server command below, we specify the number of the HSM that we want to change based on the figure above. 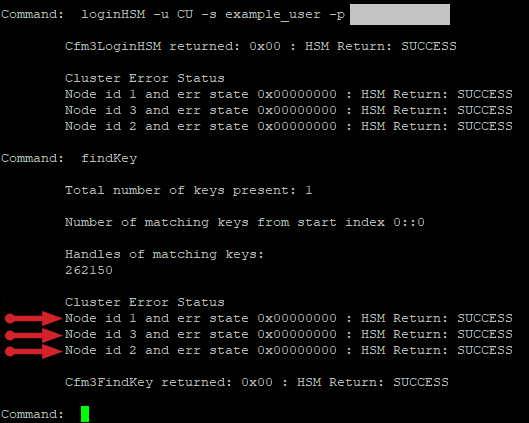 In the createUser command, you must use the same password that you used in step 3 (in the section titled “The CloudHSM Cluster Users Become Unsynchronized”) on the other HSMs in the cluster so that all HSMs in the cluster have identical user names and passwords. 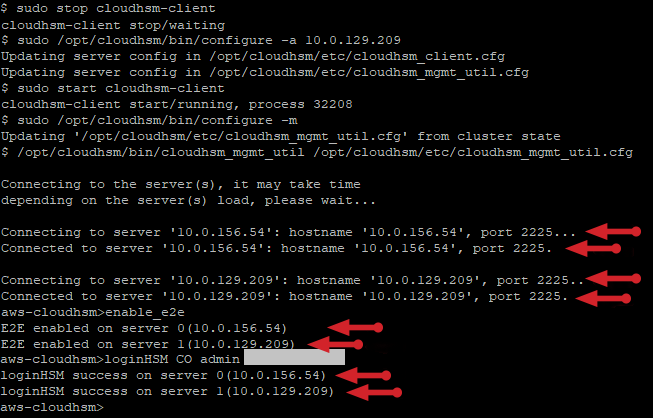 After we make this change, we use the exit command to transition from server mode back to cluster mode.